Back in the summer of 2016, I visited one of my best friends Radutron who now lives in Toronto. 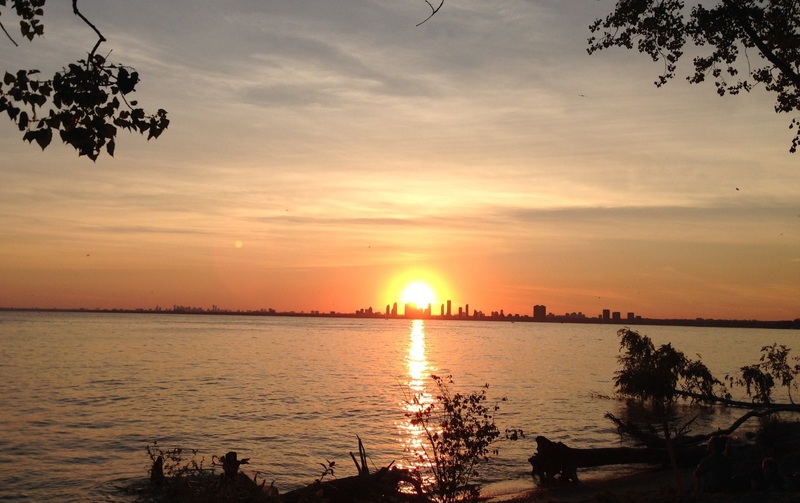 One day myself, him, and his girlfriend spent the day out at the islands and in the evening we sat down at Hanlan’s Point Beach to watch the sunset. I snapped this picture of the sun setting down in Mississauga and it somewhat looked like a nuclear bomb going off. As a long time Fallout fan, I’m fairly happy with how it turned out. This entry was posted in Miscellaneous and tagged Sunset. Bookmark the permalink. Yeah that was a great day. That photo turned out awesome!